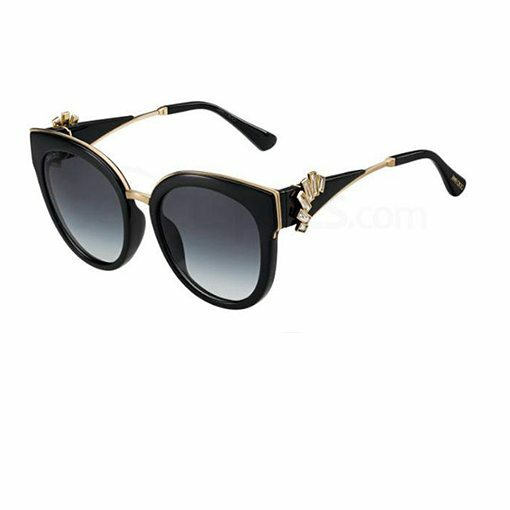 The Jimmy Choo – Jade sunglasses are a plastic acetate frame, that comes in polished black. 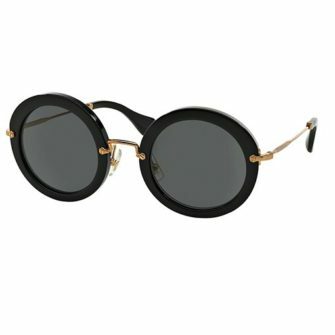 The front frame hosts the round eye lenses, with a slight cat eye flair at the top of the front frame. 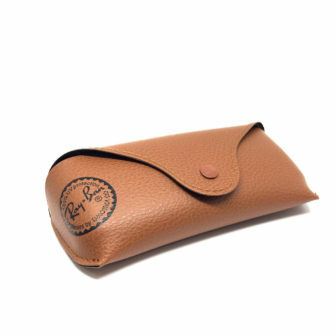 The tapered temples sport a metal rhinestone detachable pattern by the hinge, with metal details and matching ear socks. 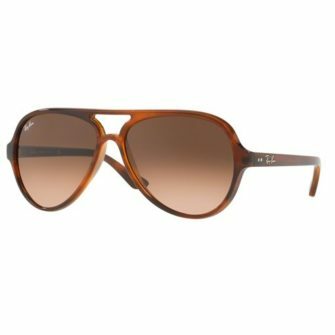 With Jimmy Choo sunglasses, you will receive a branded box, branded case and certificate of authenticity. 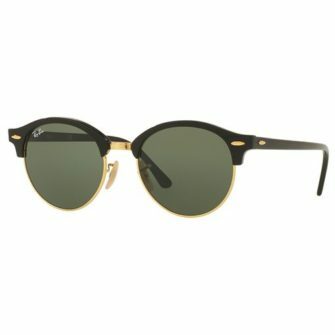 The Jade is available at SunglassesUK.com in size __mm. 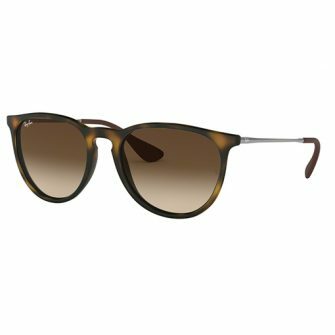 The Jimmy Choo Jade sunglasses are a polished acetate frame with a metal bridge. Available in Black, with gradient grey lenses. The Jade has a tapered temple, with a detachable rhinestone pattern, metal detailing, and acetate matching ear socks.